Since the world’s engineers haven’t yet come up with a way to read minds over the internet (or at all, last we checked), we’re not sure what you think about the proposed marriage of T-Mobile to AT&T. We’re pretty sure you do have an opinion of some sort, though, and if you want it to be heard, now’s the opportunity to let the Federal Communications Commission read your thoughtful, reasoned take on how a GSM monopoly in the United States might or might not work. (Speak now or forever hold your peace, in other words.) 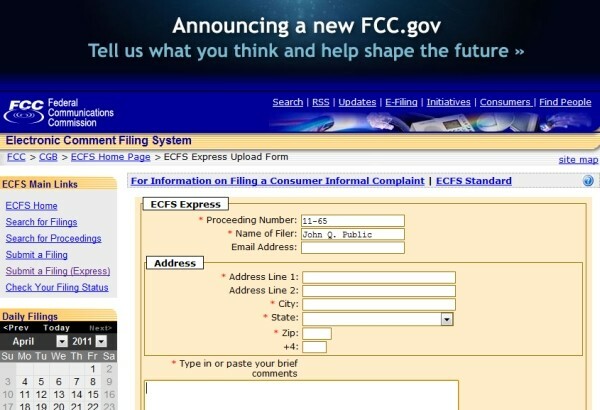 To comment, simply visit the source links below, where the FCC has some handy forms — one for short comments, one for long comments (where you have to attach a PDF document) and one with the magic number of the related proceeding, which is 11-65. Let ’em know just how you’ll be impacted if the deal goes through, for better or for worse. FCC opens floor for public comment on AT&T / T-Mobile deal originally appeared on Engadget on Sat, 30 Apr 2011 16:19:00 EDT. Please see our terms for use of feeds. If you’re the kind of person who’s always listening to music and wouldn’t be caught dead headphone-less, pause that song for a quick second and check out Seamless. 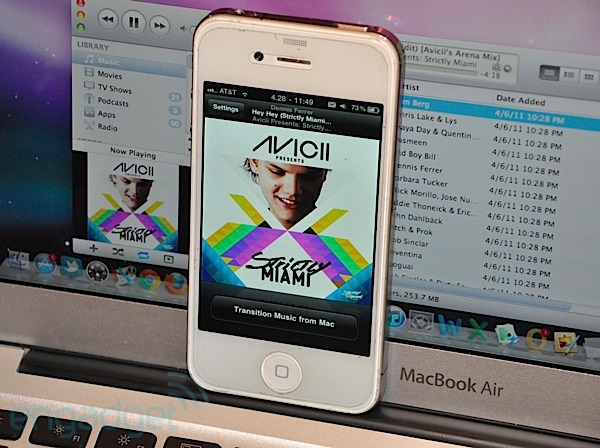 This lightweight app links your iPhone‘s Music player to iTunes on your Mac in a pretty clever — not to mention Cupertino-esque — fashion. The whole crux of it is the “transition,” which simultaneously fades out a song on one end while bringing it to full blast on the other. All it takes to get started is a quick $1.99 download for your i-device and free Mac-centric companion app. Does it work as advertised, or is it really just a gimmick? Head past the break for a quick rundown of just how seamless this utility really is. App review: Seamless for iOS and Mac (video) originally appeared on Engadget on Sat, 30 Apr 2011 13:30:00 EDT. Please see our terms for use of feeds. 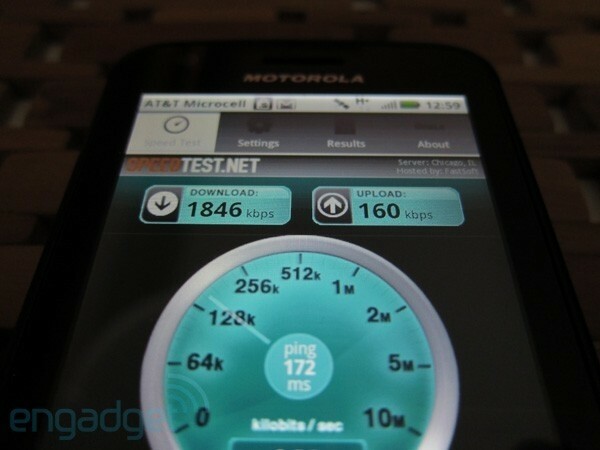 If you’re the somewhat-proud-but-feeling-throttled owner of a Motorola Atrix 4G or HTC Inspire 4G, your days of terribly slow uploads are nearly through — following some preliminary tests, AT&T is rolling out updates that provide “increased potential data speed” to both HSPA+ handsets right on cue. The Inspire 4G’s patch will also “make the email set up process much easier,” while the Atrix 4G will actually get a pair of updates which will allegedly bring better Bluetooth headset compatibility, fingerprint reader performance and battery life (which is always a plus) as well as the questionable utility of turning the Atrix into an EDGE hotspot, and a bump to Android 2.2.2 to hopefully fix any lingering SMS routing bugs. Word of warning though, you’ll need to throw your Atrix up on a WiFi network to obtain these goodies — all the Gs in the world won’t help you. AT&T brings HSUPA to Atrix 4G and Inspire 4G, one requires WiFi to download update originally appeared on Engadget on Sat, 30 Apr 2011 12:33:00 EDT. Please see our terms for use of feeds. This entry was posted on April 30, 2011, 5:31 pm and is filed under Mobility. You can follow any responses to this entry through RSS 2.0. Both comments and pings are currently closed.